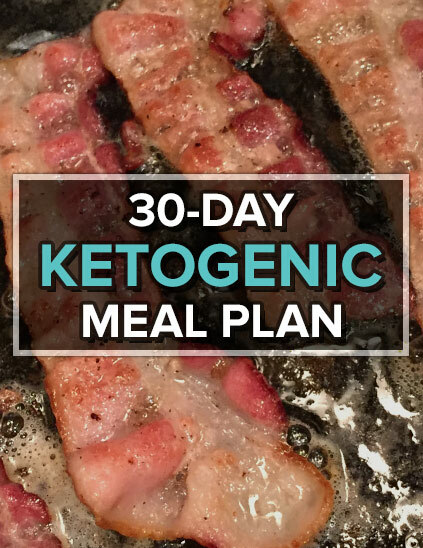 The ketogenic diet has been the most sustainable dietary regimen that I’ve followed, but beyond that, it forces you to learn nuances about nutrition that you never thought you’d know. If you’re like me, you researched for weeks before taking the plunge to eating high fat. It is counter-intuitive to everything you’ve heard or been taught. Through that process, many nuggets of wisdom came up again and again. Whether you are a beginner or want to refresh your knowledge, here are 12 common mistakes you can make on the keto diet. 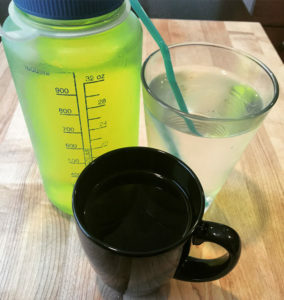 Not Enough Water – This has become my answer to everything – drink more water. Headache? More water. Sore? More water. Hydrated? Awesome, keep drinking. Don’t go past the point where your stomach feels like exploding, but pace it throughout the day and aim for a gallon, give or take. Too Many Habit Changes Simultaneously – Changing habits is hard work, and requires discipline in the beginning stages. If you attempt to tackle two or more at once (i.e. eating and working out) your long-term success rate is likely to decrease. Give all of your attention to changing one habit at a time, and when it begins to feel natural, you can move on to the next one. 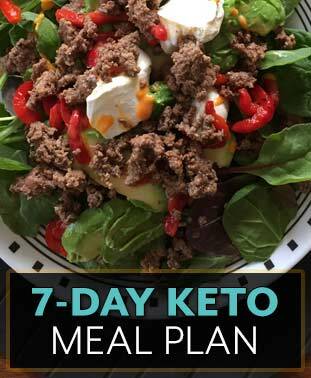 Following Someone Else’s Plan – You may ask, well why do you offer a 7-day keto diet meal plan? I believe two things – a) you must not take any advice as gospel, instead testing for yourself and b) there is no reason to reinvent the wheel. You will probably like some, but not all of the foods I eat regularly. So take the recipes and meal plan that I put together but modify it to suit your desired diet composition! Not Having Healthy Food Prepared – One saying that I completely agree with is, “you get abs in the kitchen, not the gym.” I’m not aiming for 6-pack abs. But I’ll take that a step further – you get healthy at the grocery store. Shopping healthy takes discipline, and for me, I cannot have something high-carb in the house for times of moderation. There is no moderation with me. If it’s in the house, I’ll eat it until it’s gone. So I don’t buy junk anymore, and when I do, I now go single serving. Obsessive with Scale & Body Weight – It’s impossible to not get fixated on the short-term outlook. I saw the scale rise or stay fixed at an overweight number for years, and when you make the decision to eat healthy, you want quick results. Easy mindset: “Screw one month, if I don’t lose weight in one week I’m giving up!”. You must override that instinct with the long-term mindset of stick with the process for 6-8 weeks, then compare. A better measure of your body fat is your waist circumference, not your body weight. Avoiding Leafy Greens or Green Vegetables – Some that are keto-extreme completely omit plant-based foods. Based on science, you should get a wide range of essential nutrients from meat alone, however I’ve grown fond of vegetables since my childhood. Green vegetables and leafy greens are the perfect vehicle to add more fats into your diet. Not to mention leafy greens are some of the most nutritionally dense foods and a little fiber keeps me regular. Too Much Bad Fat – Some people that eat low-carb, high-fat rely on quick packaged and processed options. If this is the case, you might be eating a lot of oils that aren’t the best quality. An easy example is mayonnaise. My local grocery store doesn’t carry a 100% non-vegetable oil mayo. I had to venture to Whole Foods to get one that is made with avocado oil. My go-to fats are coconut oil, olive oil, MCT oil, mayo and of course, grass-fed butter. These give you a nice dose of omega-3’s, a mix of saturated and unsaturated fat, plus other healthy nutrients. Too Much Protein, Not Enough Fat – If we cut the fat and add protein, this is more of an Atkins-style diet. But science tells us that excess protein is converted to glucose and eventually stored as fat. So if you are stalling on the keto diet, it could be due to eating too much protein – especially if you aren’t exercising your muscles regularly. Not only that, but you want to avoid meals that are high in protein but don’t have fat. So eat your meat with skin, or cheese, or butter. This is why keto is sustainable, fat is flavor and the food you eat is freakin’ delicious. Not Enough Minerals & Micronutrients – On the keto diet, every beginner learns about the dreaded “keto flu”. This is normally a reaction to two things: a) your body adjusting to burning fat and b) not getting enough salt, magnesium and potassium. A recommended supplement is chicken stock or bone broth. Avocados and dark chocolate are good sources of both. And as mentioned above, highly nutritious leafy greens like spinach, chard and kale will provide many micronutrients, aiding your transition to ketosis. Too Much Sweetener – If you quit sweet foods altogether, more power to you. I need a touch of dessert in my life. And I do this with the sweetening combo of Erythritol (Swerve confectioners is my favorite) + Stevia. Even though this doesn’t impact blood sugar too much, it can cause digestive issues that make you feel crappy. You’ll need to test with your limit, both physically and mentally. Not Tracking Your Foods – Let me start with the caveat, I don’t think you need to do this forever, or even long-term. But at some point, there is a benefit to tracking your macros (or at least keeping a food journal) so you can dial in to determine what you eat contributes to how you feel. If you don’t track, you probably won’t remember what you ate yesterday. And then you can’t really learn from it unless you picked the right process from the get-go. Over-Snacking on High Calorie Foods – Keto is great for hunger control, but we all have a few “domino” foods that can quickly increase your calories in a 5 minute span. For me, those are nuts, cheeses and dark chocolate. All have been fine in moderation, but if I sit down with a container of cashews and a block of cheese, I can eat 1,000 calories like it’s nothing. The fullness feeling takes 15-20 minutes to come into play, so be cautious when consuming calorie heavy snacks. Especially in front of the TV, which could be another habit to break! Keep these in mind – it will simplify your food choices, your process, and lead to a new level of good health!